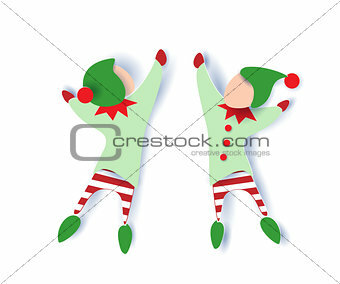 Image Description: Color paper cut design and craft of a little boy dancing in winter clothes of gnome. Vector illustration. Happy new year card.